Cultural ARTs: lifestyles, history, battles, pirates, ghosts, bad-guys, good-guys, philanthropists, Tikuun Olam, Jewish, Christian, Gullah, etc. Preservation ARTs: homes & gardens, architecture, antiques, synagogues, churches, plantations, forts, nature, beaches, sailing, kayaking, etc. Performing & Fine ARTs: museums, galleries, film, music, theatre, festivals. Dance – learn how to Do The Charleston! – Children’s Museum, 25 Ann St (843-853-8962) fun, live engaging activities, arts, games, etc. 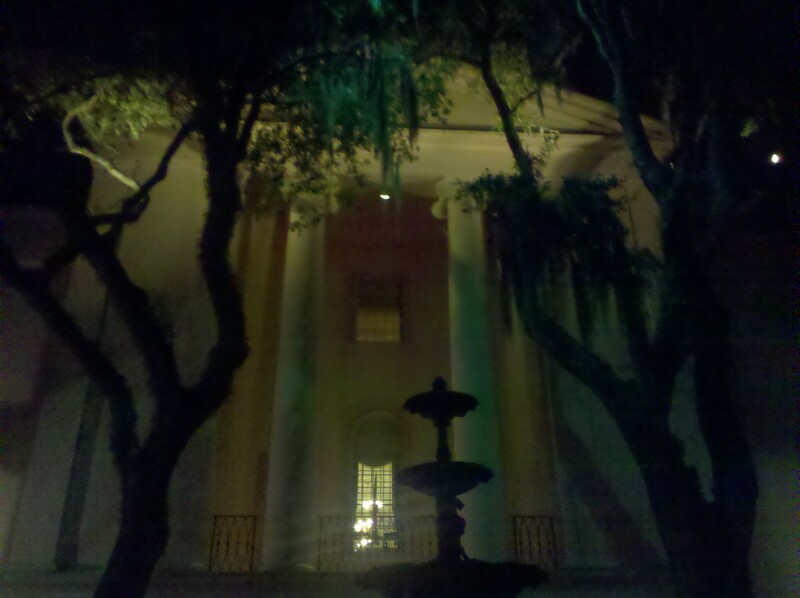 – Charleston Museum – the first museum in the US, 1773. 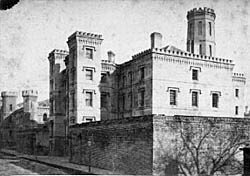 – Old Exchange & Provost Dungeon (Old Customs House) – 122 East Bay at end of Broad St, 843-727-2165. Authentic Dungeon & archeological dig! – City Hall – FREE. NE corner of “Four Corners” at Meeting and Broad. Go in the street level for a film. Then 2 flights up to the City Hall meeting room, the attendant will give a tour and answer any questions on Charleston History. Old City Jail – Call to get a “FREE campus tour” as part of the American College of the Building Arts 843-577-5245. – Old Slave Mart – 6 Chalmers St, (843)958-6467 Possibly the only historical site in existence known to be slave auction mart including slave jail. – Avery Research Center for African American History and Culture – FREE. 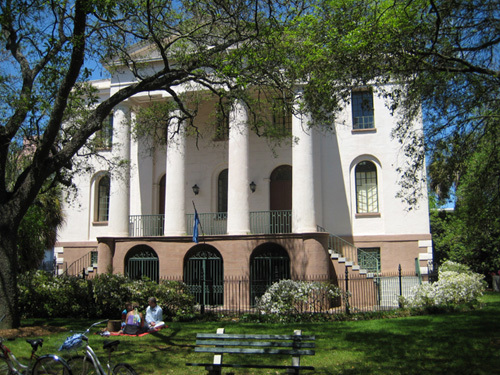 – The SC Historical Society – see pick below of Fireproof Building overlooking Washington Square Park. – Fort Sumter: Catch ferry out on the harbor to goto Fort Sumter. The ferry picks up on the waterfront near Aquarium(there is also an nice free Museum, if you do or don’t take the ferry). 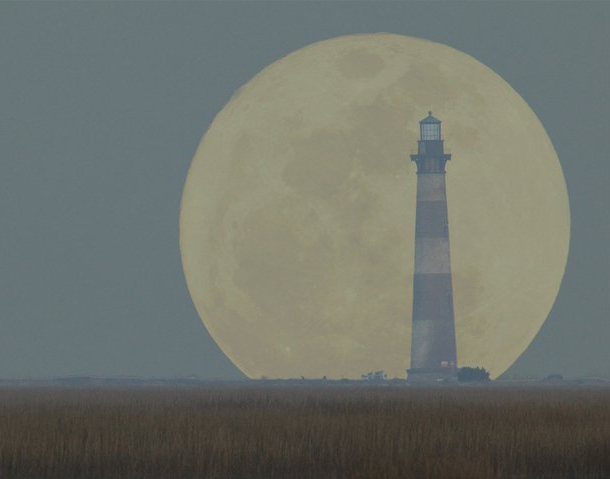 – SCMaritime.org and the Spirit of SC Tall Ship – they empower > 6000 students to broaden horizons! 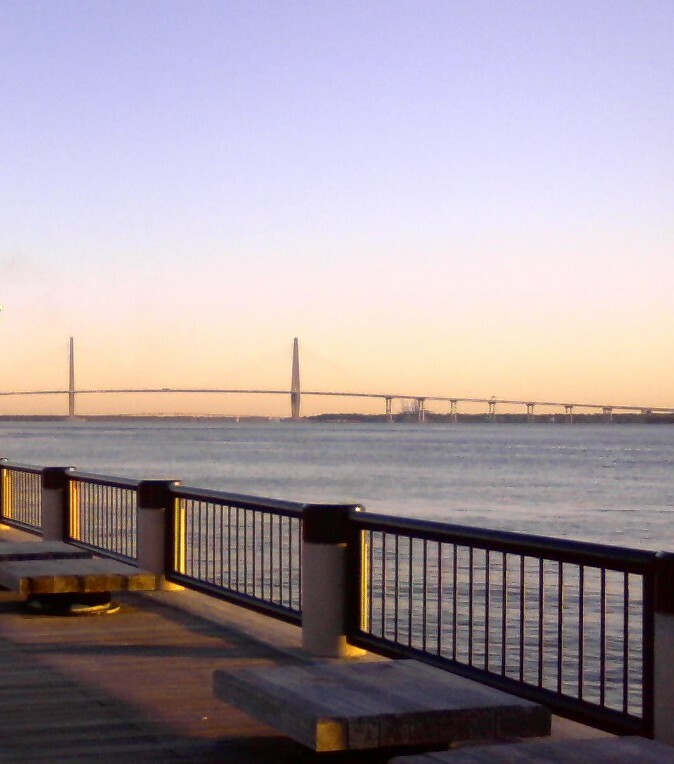 – Patriots Point Naval & Maritime Museum – catch the Water Taxi from downtown, or bike or walk over the cooper river bridge!! 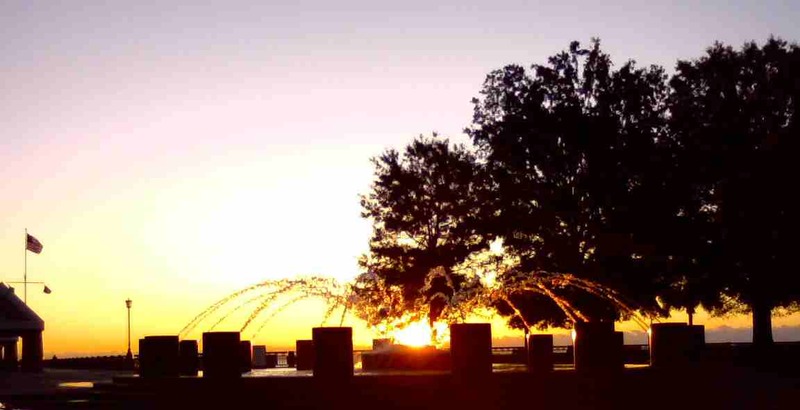 Sunrise over Waterfront Park’s Spider Fountain. Copyright DoTheCharleston.com, do not use without written release. – Promenade from Battery; to Waterfront Park; past Maritime Museum, Fort Sumter, the Aquarium; then over the Cooper River. 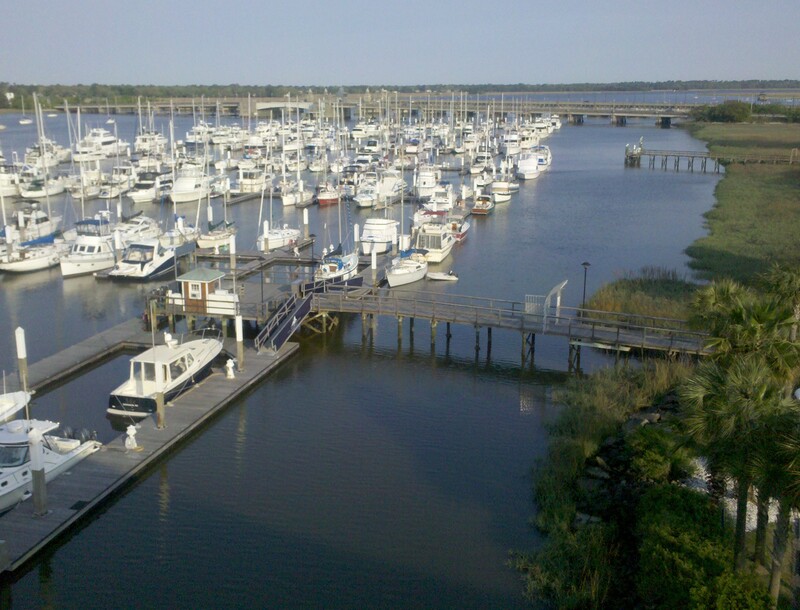 Walk – Bike along Harbor, then over Cooper River! Copyright DoTheCharleston.com, do not use without written release. College of Charleston. Copyright DoTheCharleston.com, do not use without written release. Copyright DoTheCharleston.com, do not use without written release. 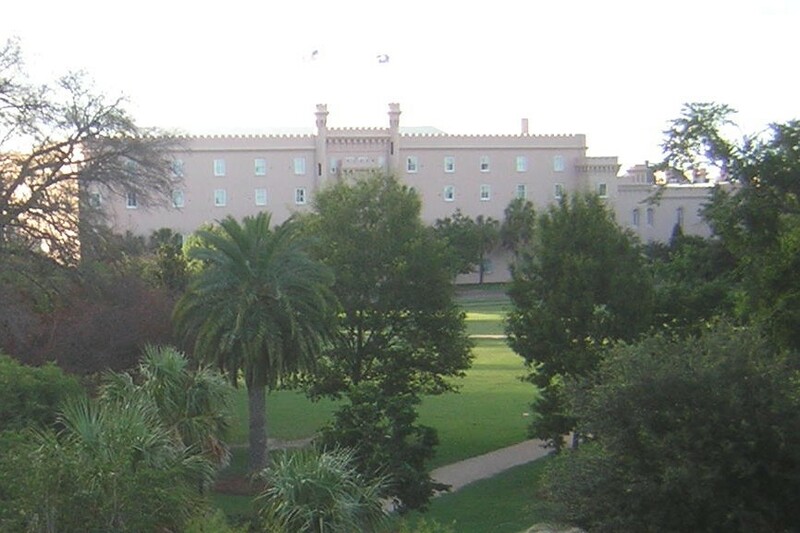 – The Citadel’s huge grassy parade mall. 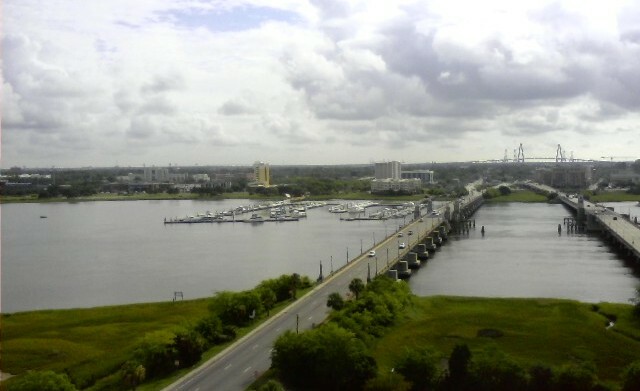 View of the Citadel, Brittlebank Park, Marinas – walk, bike, or kayak across the Ashley to Downtown! Downtown: Walk – Bike the Bridges over the Ashley River. Copyright DoTheCharleston.com, do not use without written release.